A government committee has opened a consultation this week designed to help clarify how local councils are facilitating good ethical standards in local government. Participants have until the 18th of May to submit evidence, with both councils and individuals welcome to do so. The committee on standards in public life are setting out to review the structures and practices of all authorities in the country. This is aimed primarily at maintaining standards while ensuring that ethical practices already underway are recognised and continue. 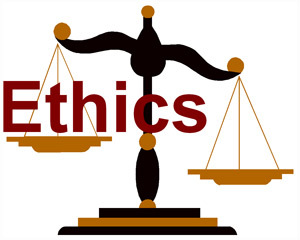 “Robust arrangements to support ethical standards are needed to safeguard local democracy and facilitate the representative process, but also to ensure high standards of conduct by councillors. The Committee considers it is timely to undertake a health check of local government, so the public can have confidence that the standards arrangements supporting local democracy are working effectively. “The Committee has maintained a longstanding interest in local government ethical standards, and regularly receives correspondence from members of the public expressing their concern about this issue. “We are keen to hear first-hand how effective councils’ standards arrangements are, in light of the substantial changes in the standards landscape for local government over the last ten years. “We are interested in how local authorities have designed their complaints handling, scrutiny and sanctions regimes in order to maintain excellent ethical standards and how members, local government officials and the public experience them. Findings and recommendations will be published in late 2018.